Lava mobiles Xolo X900 launching the Xolo X900 smartphone which also becomes the first Intel powered smartphone in the world on 23rd April 2012. 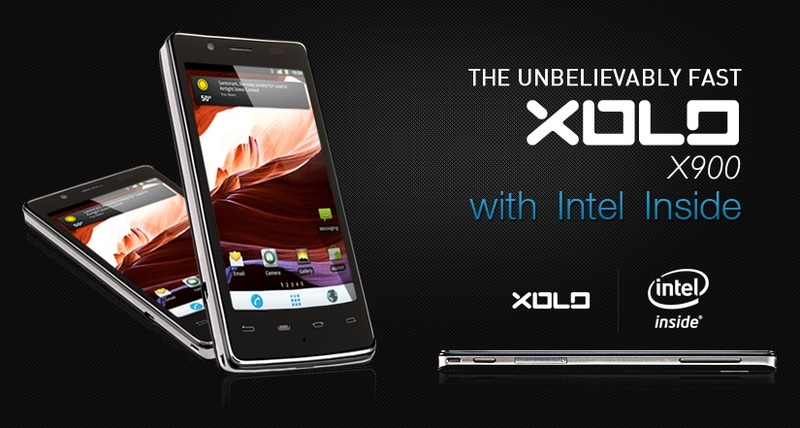 XOLO X900, the first smartphone with Intel inside© powered by 1.6 GHz Intel Atom processor (Intel Medfield) supports Intel patented Hyper Threading technology. This processor also enables smooth multi-tasking with optimum battery usage. The device has a 4.03″ hi-resolution (1024 x 600) LCD screen, HDMI, full HD 1080p playback and dual speakers ensure an unmatched multimedia experience. The device has 8MP HD rear camera and 1.3MP front-facing camera. XOLO X900 also sports 400 MHz Graphics Processing Unit. The device runs Android 2.3 rather than Ice Cream Sandwich. But Lava says an OTA Ice Cream Sandwich update is in the works. The device powered by 1460 mAh battery.